A shadowy organization is watching you. Everywhere you go. Whatever you do. Their cameras are spying on you. Their operatives are making sure you're doing as you should. Their propaganda is in front of your face wherever you look. Man, that's gotta get old. We should do something against that group. But we've gotta be careful. 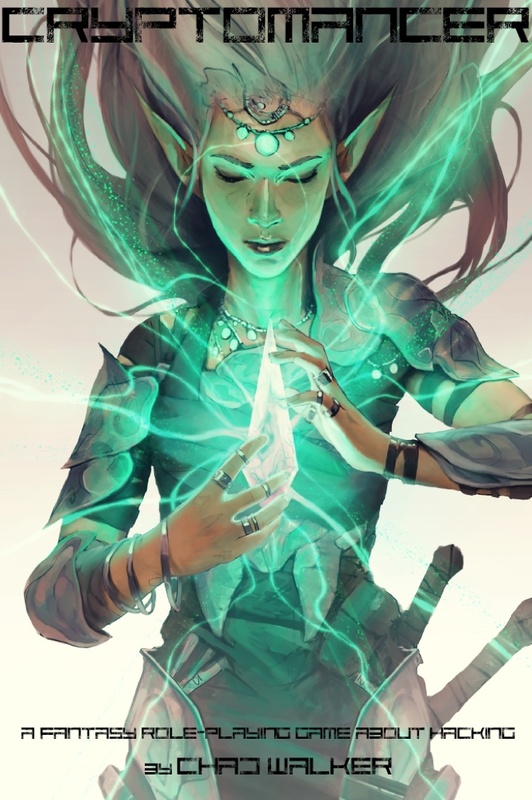 That's the story behind Cryptomancer, a new RPG that's coming out this August. Cryptomancer takes place in a fantasy setting that's been augmented by technology equivalents close to what we have now. For example, there's the Shardscape, a magical equivalent to the internet. That even includes things like hacking into enemy systems and bypassing fire walls (potentially actual walls made of fire, mind you). Players will have to be careful, creating and maintaining safe houses, covert cells of spies, and political assassins. The game will be available via Print on Demand and PDF this August.